Always be prepared to photograph an activity or event that you did not expect. The town I live in, Des Plaines IL is growing and building like many towns. 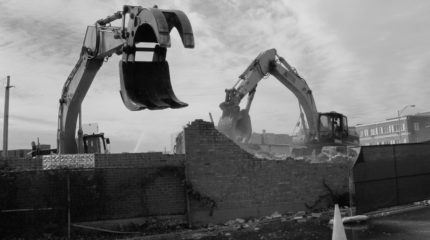 An entire city block is being demolished for redevelopment. New business’s, housing, and parks. 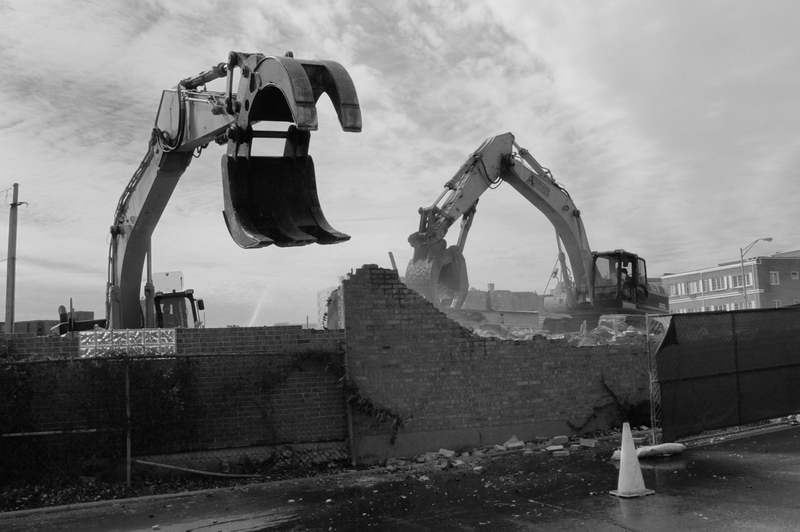 They have just about finished demolishing the old buildings. This photo is on the north end of the project. Only a few walls still are standing. I knew this was happening but didn’t drive by until yesterday. I do a lot of photography with my iPhone, but I always try to have another camera with me with greater capabilities. The small Fujifilm X30 camera has full features and a zoom lens. Look carefully while driving for anything interesting that may be happening. Sunrises, sunsets, clouds, weather changes, storm fronts with interesting clouds, the changing colors of the leaves, look for shadows and light.